The Good Life Digest: Your competence becomes your confidence. Whether you get invited to a party, interviewing to get that dream career, or impress your date, there is one factor that often gets in the way: confidence. In particular, a lack of self-confidence means you lose sight in yourself. The same can be said with being over-confident. You usually don’t want to lose confidence. On the contrary, today many people are overconfident which can lead you down the wrong path too. Of course, everyone’s confidence varies in different aspects of life. You can get nervous meeting new people. You can feel anxious at social events. How many of you had your tongue-tied when trying to talk to your boss? How about being petrified to make a speech? It’s okay, if you aren’t that confident now. The point I want to get across to you is that it doesn’t magically just change. The problem with this advice is it’s incomplete. Most people’s view and take on the power of positive thinking is things will get better just because. Even worse, they are delusional to the fact that life will bring some struggles, conflicts and adversity. Some people won’t even want to phantom any negative possible outcomes due to some superstition that it will come true. But at the end, as the billionaire Warren Buffett says “Only when the tide goes do you discover who’s been swimming naked.” Things may look great now, but that can quickly change. So let says you’re not confident in public speaking, but you happen to be speaking to a small receptive crowd. Overall you did a pretty decent job. You managed to cram and get by. The next time you have to give a presentation you decide because you didn’t prep last time and did well it would be a piece of cake. This time though, your audience is a bit larger. They even seem to be more inclined to analyze what you are saying. Despite you believing in yourself and thinking you will do great, you end up flopping. Now, I want to be clear that this isn’t negative thinking. I believe its reality thinking. In fact, most success in life is accomplished not just solely on positive thinking, but some pessimistic thoughts (fear) that motivates you and propels you to undergo some preparation. 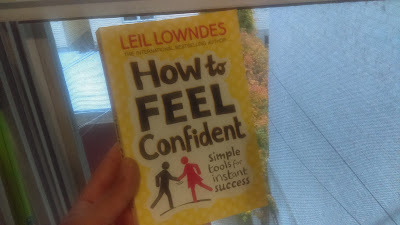 There are some great tips in How to Feel Confident by Leil Lowndes that can definitely come in handy. But the one that usually trumps all is: reps.
Repetition sounds like simple advice. So why does everyone get angry when it’s not some complex hack or unique? Because simple doesn’t mean easy. And it’s not just reps as in putting in the hours. You have to put in quality hours consistently day in and out to achieve the success you want. This is when your competence becomes your confidence.